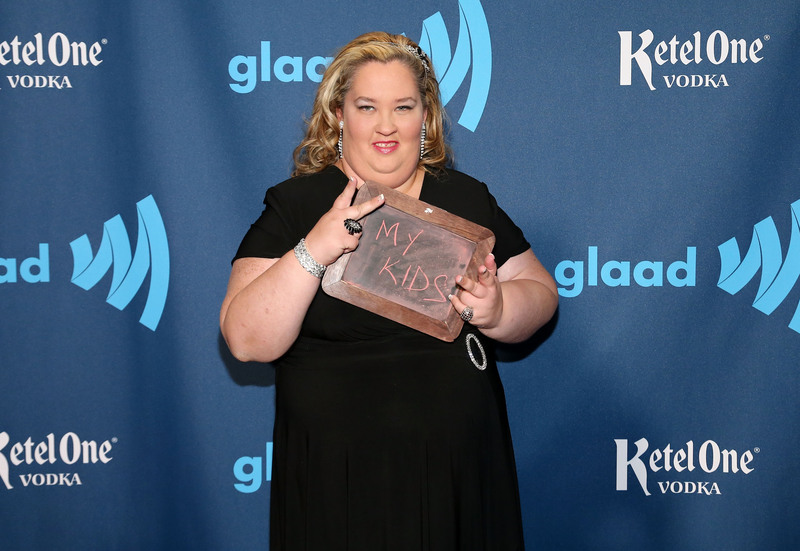 Before the majorly troubling scandal involving Mama June dating a convicted child molester responsible for abusing her own daughter, Anna "Chickadee" Cardwell, resulted in the show's immediate cancellation, TLC's Here Comes Honey Boo Boo seemed pretty unstoppable: Though it was based off of the simple concept of following the lives of Toddlers & Tiaras favorite Alanna "Honey Boo Boo" Thompson and her family, it managed to score major ratings for the network, all the way up to its shocking cancellation back in October of 2014. Though it was an abrupt decision on TLC's part, it was absolutely the right one, especially for the younger kids in the family: The most important thing was (and still is) their welfare, and being in the spotlight on a reality show amidst a situation like this one was definitely not the best thing for anyone involved. That's why I'm honestly a bit shocked by this news that 20-year-old Anna "Chickadee" Cardwell is reportedly shopping around a new reality show similar to Here Comes Honey Boo Boo — the last thing this family needs is to be is in the public eye right now. According to TMZ, Cardwell apparently intends for the show to follow herself and her also 20-year-old husband Michael Cardwell, as well as their young child. Though the show would be primarily focused on them, though, she reportedly has said that her family — including her estranged mother Mama June — can appear on the series. This news is, of course, not confirmed at all — but if it turns out to be true, it's a pretty unfortunate development in this already troubling story. TLC originally canceled Here Comes Honey Boo Boo for a variety of reasons, but the biggest was to ensure that the children of the family remained shielded from the situation as much as possible; going right back into the world of reality television could not only be damaging, but impede any healing process this family may need to go through to move on. No word on if any networks are interested in picking up the series.